Growing up, I always thought I was blessed to have been born in the month of October. Why you ask? Because in September the Sears “Christmas Wish Book” would arrive in the mail and I would carefully comb through its pages to make out my Christmas list for Santa. Doing this in September was a good way to let the members of my family know of my “needs” since my birthday was right around the corner. Sometimes, I’d get an item or two on my birthday from the Wish Book and I’d update my Santa list. Well Sears ended its catalogs years ago. That’s the bad news. The good news is that Hammacher Schlemmer still publishes theirs and I’m on their mailing list. So what’s hot for 2014? How about a high definition camera drone. A gravity defying clock (not like I’m planning a trip into space anytime soon). There’s the instant transmitting paper to iPhone pen. The hands free hair rejuvenator (Hmm, I wonder). There are a lot of different ways to amplify or clarify people’s hearing. Makes me wonder if the Hammacher Schlemmer customers are all going deaf. There are lots of things to connect with your iPhone or iPad; even a piece of electronics that will transfer your records or cassettes into the digital format for use on those same devices. But what really got me excited was that my Hammacher Schlemmer “Last Minute Gift 2014” catalog featured not one, not two, but three different radios. The first was called “The Best Emergency Radio” and Hammacher Schlemmer says it earned their best rating because it had the longest playback time and clearest reception. The third radio featured was the Longwave Shortwave Radio. You can listen to AM/FM and the world using this beast. If you count the device that converts your cassette tapes and albums to digital, you actually will find four radios in this 2014 edition of Hammacher Schlemmer’s Christmas catalog. What you don’t find is an HD Radio. You also don’t find a single TV for sale from Hammacher Schlemmer. HD radio was introduced the same year that Steve Jobs stood up and introduced the world to the iPod; 2003. In 2014, after four hundred million iPods had been sold, Tim Cook quietly announced the iPod was over with the introduction of the iPhone 6 and 6+. I tried to find the number of HD Radios that had been sold in that same decade of time and the best number I could come up with was maybe seven million. Is the HD Radio a solution to a problem the customer never said they were having? The main application of HD Radio technology by the broadcaster has been to feed an FM translator with programming. Did you know that’s how radio broadcasters first used Edwin Howard Armstrong’s FM radio? Only back in those days, when FM was in the 40 MHz band, broadcasters were trying to avoid paying AT&T their high charges for dedicated phone lines. FM radio was an inexpensive way to get audio from one location to another and re-broadcast it over AM radio. The Yankee Network was built on Armstrong’s FM radio technology. 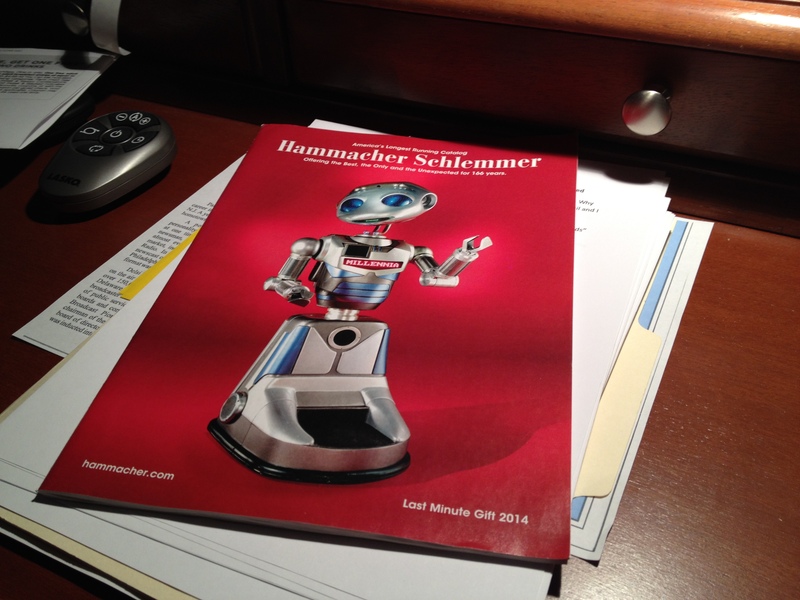 Hammacher Schlemmer is a catalog made up of cool merchandise. What does that say about the future of HD Radio? Just askin’.